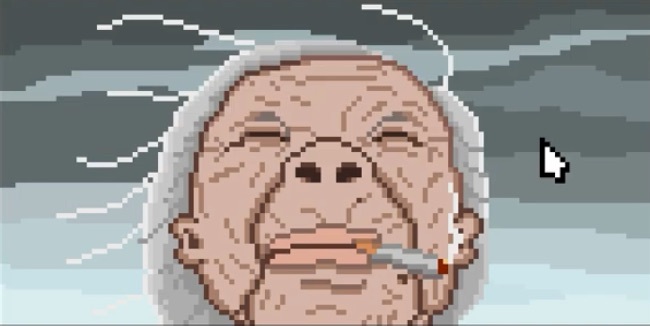 All the Popped Balloons is a touching little point and click story of a grandma and her love for her grandson. Taking around ten minutes to play through, All the Popped Balloons is a beautiful and heartfelt little tale of a grandma who loves her grandson very dearly. Of course the grandson love his grandma too, but he also loves balloons and plays with them as his grandma watches on. However when his balloon bursts, the grandma sets off to the grocers to buy some fruit and tells the grandson to wait in the house until she gets back. What follows is a beautiful and touching little narrative experience with a powerful ending. All the Popped Balloons doesn’t spell anything out for you, but there are lots of great little clues in the various scenes that help you figure out what’s really going on – such as the descriptions of the objects in the grandmas apartment, the coloring of certain scenes and the grandmas determination to collect a rogue balloon. It’s a wonderful piece of storytelling with a lot of heart.